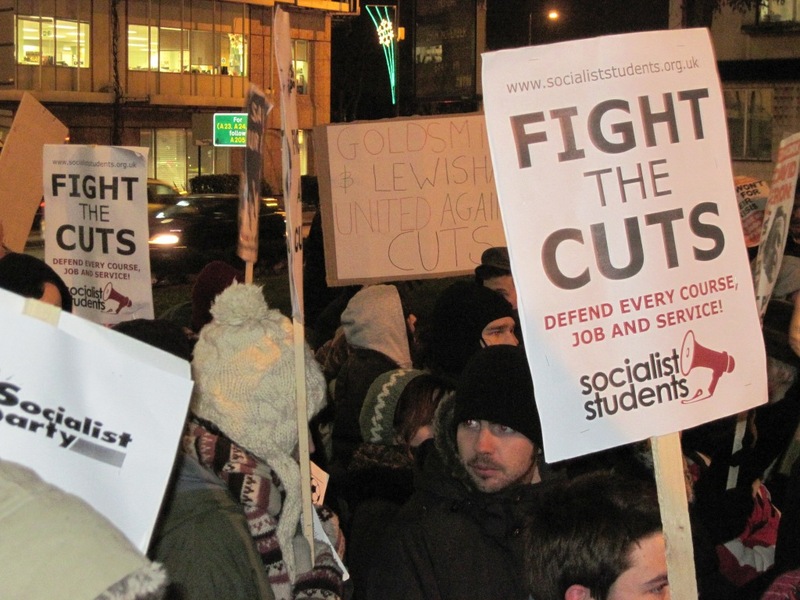 There was anger at tonight's Town Hall protests as Lewisham's Labour Group voted through the first tranche of their £60M cuts package at the full council meeting. Not a single Labour councillor voted against, one even claiming that they had a responsibility to carry out 'democratic socialist' cuts! A rally outside heard from trade unionists, service users and students from Goldsmiths Collge who had marched down to Catford to support the protest. As they axed 400 jobs, the Labour Group also voted to cut the 'Opening Doors' centre for the unemployed. I left after the rally finished to speak at the UCL occupation in Central London, but as I drove away, police cars were going the other way back to the Town Hall. Protestors report that riot shields and police horses were used against the crowd.